Since 1949, the Distinguished Daughters of Pennsylvania has empowered, inspired, and engendered great pride through the remarkable accomplishments of its members across the Commonwealth and around the world. Women leaders are honored from diverse backgrounds, including education, science, law, medicine, business, public service, philanthropy, humanities and the arts. Only a few such women are named by the Governor each year. A thorough nomination and selection process is conducted that documents their careers and accomplishments, demonstrating that each has earned regional, statewide or national recognition and that her work provides benefits to a wide community and meritorious service of value to the public. To date, almost 500 talented, dedicated, and influential women from every part of the state have been honored for the significant, positive impact their work and service have had in improving the quality of life for all Pennsylvanians. 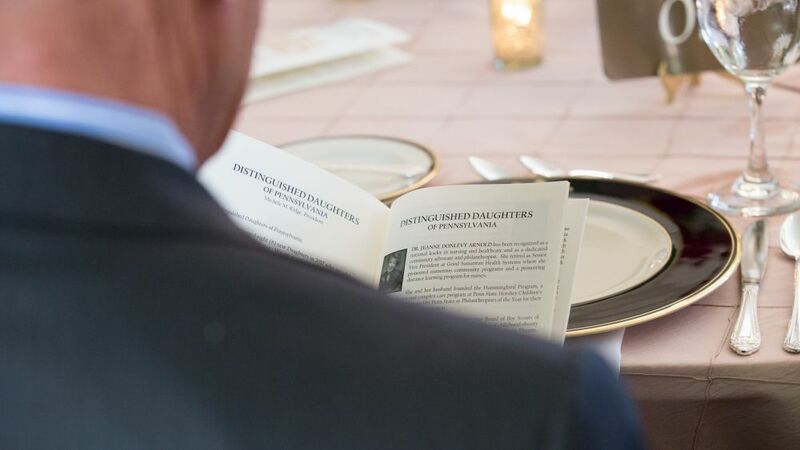 Distinguished Daughters annually celebrates and promotes each Daughter’s accomplishments which reflect the richness of Pennsylvania’s past and her promise for the future. Through their impressive lifetime achievements, the Daughters enhance the good name of the state that they treasure and call home. Distinguished Daughters of Pennsylvania has continued to celebrate its members’ altruism, tireless commitment and professional excellence through thirteen gubernatorial administrations and for more than six decades.